BELATRA invites you to its own amusement park - a positive and colorful video slot Carousel. 100 lines, drums of different heights (4 or 5 symbols), bonus games - you will be very interesting! international game "Carousel" translated into 11 languages of the world. 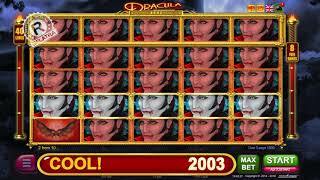 You have a great opportunity to play online for free and without registering in the slot machine BELATRA on our website. 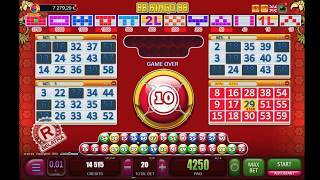 If you want to play BELATRA slot machines for real money, then you will easily find this game in various online casinos. The main hero of the carousel - of course, a horse! The horse is in this slot a scatter-symbol. Three (or more) scatterers on any positions on the reels are awarded 12 bonus games, which can be repeatedly nested into each other. The total number of free games can reach 300! The main feature of the bonus games is the special joker "Clown". 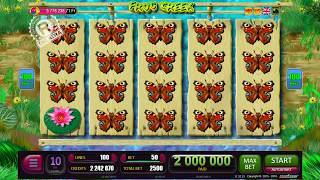 When at least one wild-symbol appears on the screen, jokers fill the whole drum and the chances of getting a big win increase significantly! "Wheel of Fortune" is a unique development of BELATRA GAMES. This is a bonus for each player - the opportunity to receive additional winnings. Play your favorite slot and accumulate JP points for each rotation of the reels. The higher the bet and denomination of the gaming machine, the more bonus points are awarded for one spin.After accumulating 2000 points, you automatically go to a two-stage draw of the jackpot. On the first wheel of fortune - the main prize will be the transition to the big wheel, on the big wheel will be the drawing of the main prize - the jackpot. And the main feature of the bonus is "Wheels of Fortune" - a win-win. In addition to the main winnings, you can get additional JP points or multiply the number of points during the following games. 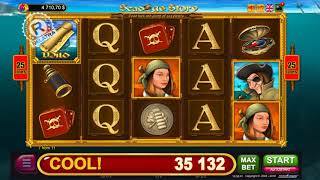 Carousel - a bright dynamic slot - great for playing online for free or for real money!